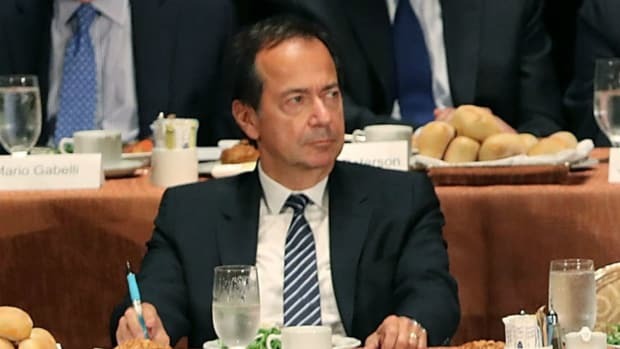 Greece has heard through the deeply indebted grapevine that Mr. John Paulson is interested in tropical islands. Greece’s Hellenic Republic Asset Development Fund is courting U.S. hedge funds as it seeks to lure investment in everything from ports to islands to finance the country’s bailout. Officials at the privatization fund, charged with raising 11 billion euros ($15 billion) through state asset sales by 2016, met with billionaire hedge-fund manager John Paulson in New York earlier this week, according to the directors. Funds from Paulson & Co. to Third Point LLC, which profited from wagers that European officials would rescue the indebted nation as government bond yields peaked last year, have expressed interest in the assets, they said. Guy Levy’s negative-return services are no longer required at Paulson & Co.
Detour Gold Corp. won’t have its strategy questioned by this guy.